What happens when you don't measure employee engagement? What are the reasons your employees leave, and how much is in your control as an employer? The issue of high staff turnover haunts many an employer in life sciences, and for good reason. Employees can leave for a wide range of reasons making it difficult for employers to get to the root of the problem. The trick is to be able to identify the issues and resolve them before employees leave. Employers cannot always be blamed for their employees’ decision to leave. People may need to relocate or seek a different position when their personal circumstances change. In these situations, employers have little to no control. However, more often than not, employees jump ship following a build-up of issues with their employers – sometimes over the course of several years - that can be addressed. Exit interviews are a very useful resource that can help employers to identify the reasons why their staff leave, but only when the issues are acted upon instead of being simply filed away. If you haven’t got an exit interview process yet, download ProClinical’s Exit Interview template to get started. Through Staff Science, ProClinical helps life science companies to address relationships between recruitment, engagement and staff retention. 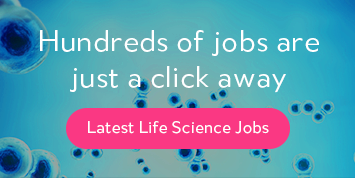 ProClinical surveyed a number of people working within the life science industry in an attempt to understand what motivates and engages employees, and how this can help employers to address high staff turnover. Some employees in the life science industry want to leave due to fears about career development and training opportunities. According to ProClinical’s employee engagement survey, career development was a major factor with 17.6% of respondents stating that they were most engaged by the opportunity to develop their career. Unfortunately, only 38.9% of employees said that they had satisfactory career path ahead of them. Employers should be aware that offering training and development opportunities are key to keeping employees engaged and committed to the company. However, this can be a real challenge for employers to address as organisational structures may not always accommodate career development for all employees. The issue of salary goes hand-in-hand with career development, as employees expect higher pay as they broaden their skillset and climb the career ladder. 8.1% of surveyed employees said that salary was the biggest influencer on their engagement at work, yet only 43.9% of respondents feel fairly compensated for the work that they do. It is also important for companies to create a dynamic, innovative working environment in which employees can thrive. This will be much less effective if employees do not feel intellectually challenged by and engaged with their work. As many as 14.9% said that having challenging work was vital to their engagement, suggesting that bored employees are the most likely to leave. Likewise, the ability to innovate was the second biggest factor in engagement (16.9%) meaning that companies that do not listen to their staff are at risk of losing the best and brightest talent. Another area that many employers need to focus on is their ability to retain their employees through a well-managed employee benefits campaign. Why is one company better to work for than another? This encompasses factors such as benefits packages, corporate culture and work/life balance. These are the most likely to encourage commitment and advocacy. Employers that do not invest in forming an attractive employee benefit structure are likely to lose employees to other companies that will offer a better experience for their workforce. Some of the most attractive work benefits include flexible working hours, healthcare insurance, pension plans, enhanced maternity/paternity leave, health and wellbeing programmes and working from home. By incorporating a mixture of these into their employee benefits package, companies have a better chance at staff retention. Employees want to see that employers care about their personal life and wellbeing, rather than viewing them as a mere cog in the corporate machine. More in-depth information about which benefits employees value most can be found in ProClinical's 2016 Employee Benefits Reports for the European and US life sciences industries. Another way in which companies can stand out is by developing an appealing corporate culture. This is the ‘vibe’ of the beliefs and behaviours of a company that are expressed both internally and externally. Company culture is more of a feeling than something that is written down and shared; it must be slowly cultivated and fully embodied by existing employees. However, any half-hearted attempts by companies to exude a company culture that does not reflect reality will be seen through by employees very quickly, making them likely to leave after a short time. The crux of a successful company culture is sending a message that the company does not want employees to choose work over their personal live, but to have them coincide harmoniously. Leading on from this, having a bad work/life balance is a very common reason that employees leave. According to a survey in 2015, 30% of employees leave their jobs in search of a better work/life balance, trumping factors such as career advancement and increased remuneration (like salary and bonuses). Companies must be sure to understand the importance of having good relationships in the workplace. This may seem obvious but often employers do not realise that the way that people engage and relate to each other can heavily influence employee engagement, and therefore productivity. Employees who have a difficult relationship with their manager or colleagues are less engaged and committed to their company. According to ProClinical’s engagement survey, 7.8% of respondents stated that a good relationship with their manager had the biggest effect on their engagement. Tension between employee and manager can filter down to affect customer service, quality of work and attendance. To avoid this, managers should ensure that they are humanizing their employees, demonstrating that they are invested in their personal lives as well as their progress at work. Communication is key to maintaining a healthy professional relationship. The employee engagement survey suggests that motivation increases when staff have more face-to-face time with their managers, whether it was monthly (59.4%), quarterly (52.3%) or annually (43.1%). Regular catch-ups and/or performance reviews provide a comfortable space in which issues can be discussed and resolved before they escalate and start impacting productivity. It is also an opportunity to give and receive constructive feedback that will improve operations within the team. Likewise, employees who have a bad relationship with their peers within the workplace are also more likely to leave. Employees who feel undermined, betrayed or in too much competition with their team members may struggle to feel as engaged as possible at work. Furthermore, when personal friendships between colleagues go sour this can often affect their professional relationship by default. Unfortunately, these relationships are out of the control of employers who have little to no say in how colleagues interact outside of work. However, HR teams and managers can do their best to cultivate an open yet professional environment that encourages harmony amongst colleagues. In recent times, there has been a change in the mind-set of workers, mostly seen in millennials (Generation X). These employees have a growing need to feel that their work is meaningful and serves a higher purpose. In many cases, the want to have purpose at the workplace overrides salary, and employers must work harder to retain their staff even when they are being compensated fairly. Providing high-impact jobs on such a large scale can present a challenge to employers in some working environments. Luckily, due to the nature of the life science industry, most employees understand that they are working in some capacity to improve and save patients’ lives all over the world. However, many other factors contribute to life science employees feeling a sense of purpose at work. Survey respondents stated that they find more purpose through the following aspects over quick wins like higher pay: the ability to innovate (16.9%), recognition for good work (13.3%), opportunity to utilize their skills (7.3%) and feeling inspired to meet goals (5.9%). Failing to recognize these important driving factors in engagement can result in a deflated, uncommitted workforce that will be continuously looking for opportunities where they will feel valued and useful. In conclusion, there are many reasons that employees leave but the key to addressing this issue lies in the employer’s ability to identify and remedy them before employees start leaving. The most effective way to identify problems is by carrying out engagement surveys as regularly as possible. If companies analyse and utilize the collected data effectively, they can begin to formulate a long-term engagement strategy that will address these pain-points over time. Employers that fail to see engagement as an ongoing development are at risk of continuously losing talent. A truly effective engagement strategy that will drive up engagement and help retain staff requires more than a one-off engagement survey. Instead, frequent surveys are needed to monitor and measure the effectiveness of your engagement campaign. For more in-depth insights and findings on employee engagement, download ProClinical's report on employee engagement in the life sciences industry.